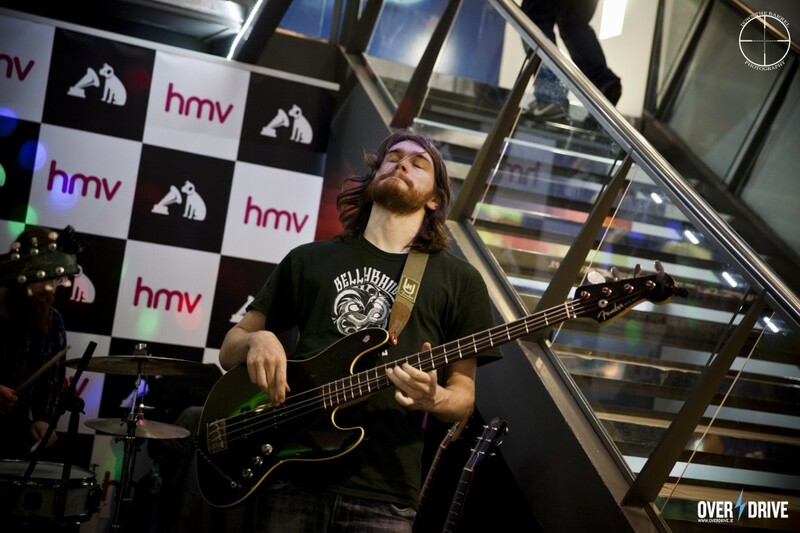 Crow Black Chicken talk to Overdrive about new album "Rumble Shake"
Crow Black Chicken launch “Rumble Shake” in HMV Grafton St.
Crow Black Chicken formed in 2009. 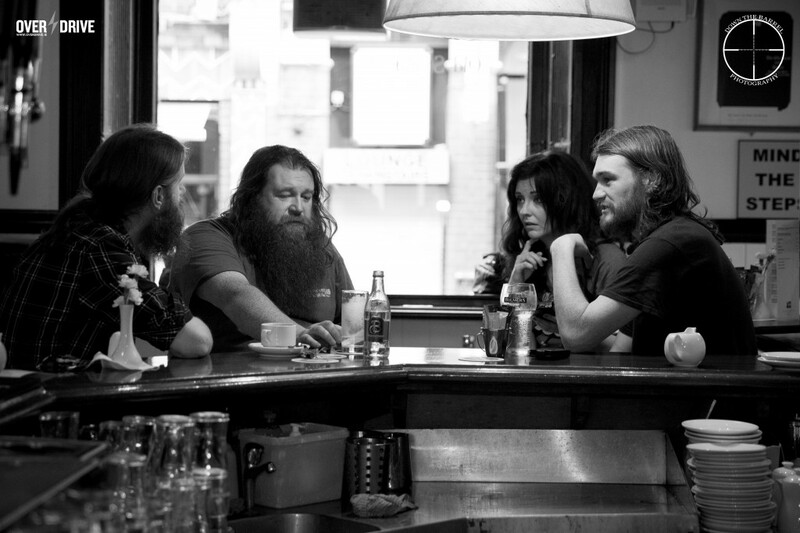 The talented trio consists of Christy O’Hanlon (vocals, guitar), Stephen McGrath (bass) and Gev Barrett (drums, backing vocals) and hail from Cork, “The Deep South”. 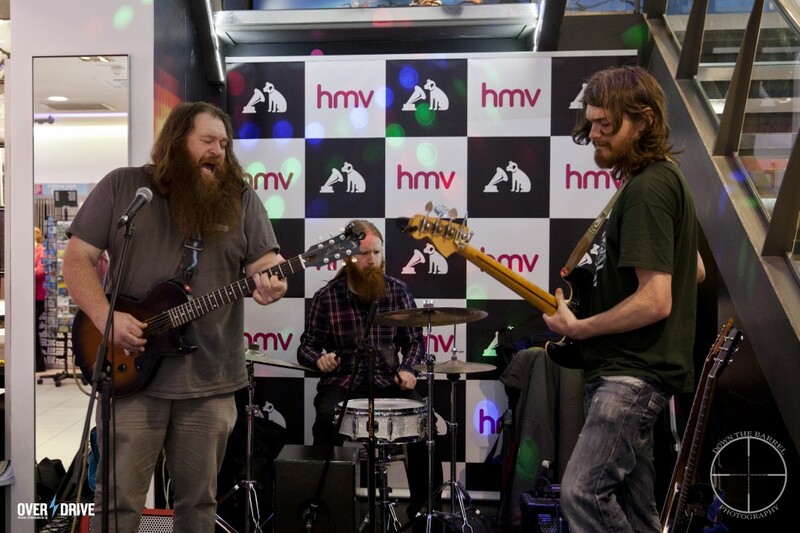 Their sound is best described as a combination of folk, blues and hard rock. They released their critically acclaimed debut album “Electric Soup” in 2012.The band released their second album “Rumble Shake”, which was recorded in Westland Studios (used by legends such as Bob Dylan and Thin Lizzy),on 6th June and Overdrive where there to catch the whole event. 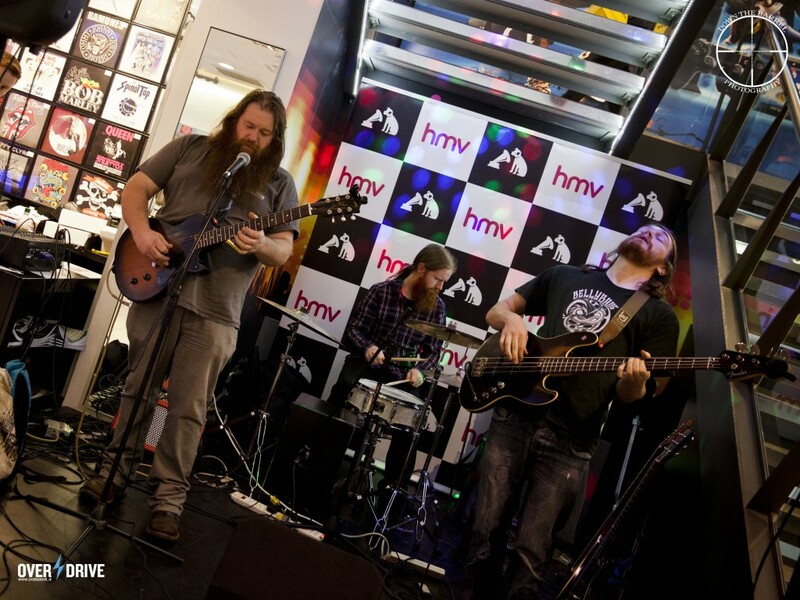 Overdrive were lucky enough to sit down and interview the band in The Old Stand after their free gig in HMV on Grafton Street. OD: How did you meet? Christy: Stephen and Gev were in college in Cork together. My friend was Stephen’s lecturer. Stephen was doing a Luthier course and I was his buddy and he also was a guitarist and he was mad looking for somebody to play the bass and drums with him. Its hard to get a good back line, everyone wants to play guitar but nobody wants to be doing the drums. He was telling me about this and I said I wouldn’t mind doing that. So then we got together and were around Cork and Munster as a cover band for about a year. OD: What bands did you cover? Stephen: A lot of big names. Christy: I suppose you could say we were mostly a blues band but we played a bit of eclectic kind of stuff as well like The Neville Brothers and Tom Waits. A lot of different things but in the jazzy, bluesy genre. It was easy to get gigs because people like those types of music. OD: How did the name of the band come about? Christy: The name of the band is a song, an old traditional, American folk song. I heard it done by Ry Cooder and I really liked it. We were toying around with a few names, very good names also. Stephen: We did one gig as Christy and the Blue Tacs and then we decided on Crow Black Chicken. OD: Who are your biggest influences? Christy: Its a mixture of everything. I think that would be the main point, there’s no kind of one genre. We play a lot of blues because it suits my voice. We listen to everything. And we all love jazz a lot. I like rock music as well and I like a lot of folk music but the boys wouldn’t really be mad for that. OD: CBC have played almost 100 gigs since forming, where was your most memorable gig so far? Stephen: For me it would be when we went to Texas and we did a radio show. It was the first gig we did in Texas and it was the most fish out of water thing we ever did. It was amazing. We were live on the radio, just playing and it kind of just hit us; “Wait a minute, we’re in Texas and he we are talking to and playing with Ray Wylie Hubbard“. For me it was the most memorable gig. Christy: I think you’re right. It was a fish out of water thing. We’re used to having all our amps and the big sound. It was a stripped back kind of thing. We played in a place called Tavern in the Gruene and its like a great tin shack. It had a corrugated roof and it was roasting hot there, like 45 degrees, and when you opened the doors they’d all shout at you, “Close the door, keep in the cold, stop leaving out the cold”. Stephen: It was class. We were live on the radio, chatting away with Ray. That was the first gig of the tour but probably the most memorable. We played in the ranch from Dallas, its called Southfork Ranch. Christy: We played in a festival there called Cooler Than Hell. They have a huge conference centre on the back of Southfork. We stayed, which was actually more memorable, the night after in the Southfork hotel in Dallas. But we won’t talk about that. Stephen: Ah you should, there was midgets and all. Christy: We met Eric the midget and he was doing the midget wrestling. Stephen: At the festival, there was midget wrestling. Christy: And chewing tobacco. Ah it was disgusting! Have you ever had chewing tabacco? OD: I tried it before and thought it was disgusting. Christy: Well, I tried it and didn’t realise you were to spit it out. OD: *laughs* Did you swallow it? Stephen: They told me and Gev we were to leave if we didn’t stop with the language. They were saying we were cursing too much. Christy: Yeah, Americans don’t like bad language. They’re not fond of the C word. Basically, they don’t like see you next Tuesday. They really love you when you start saying that. So then we’d say it all the time. OD: The new album “Rumble Shake” was recorded in Dublin’s famous Westland Studios, what was that like? Stephen: Its a lovely studio, very cosy like and we preferred it to the other ones as they were too clean for us. Not used to that kind of thing. It was old and worn. We’ve gone into other studios before and they were immaculate, brand new. I think aseptic is the word. OD: CBC are touring Ireland this month, where are you most looking forward to playing? 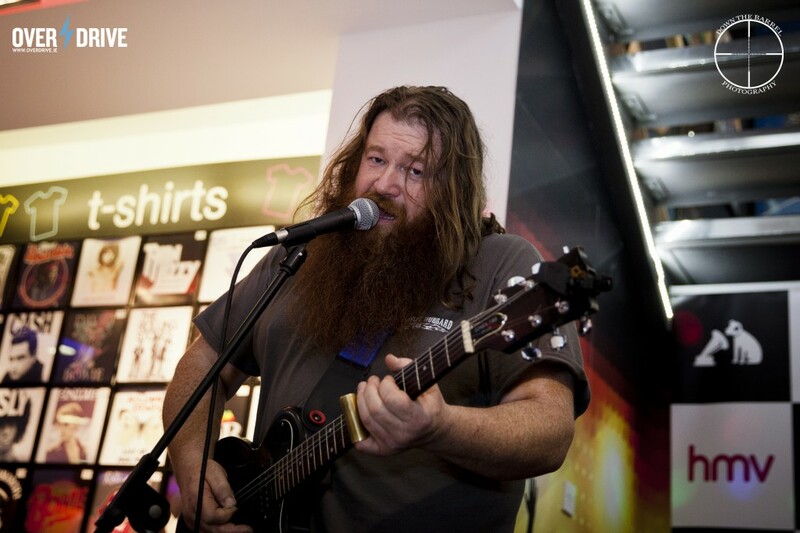 Christy: I’m looking forward to playing Whelan’s on 27th of June. OD: You’re going to on tour around mainland Europe in July..
Stephen: We’re playing in Holland, Germany, Austria and Italy. OD: Have you played in those places before? Stephen: We’ve played Italy before, that was savage craic. And then we’re playing in Holland but the main gig is in Hanover, in Germany, that’s one of the main venues for blues. Gev: Italy was savage craic. Stephen: They fed us til we nearly burst. We came off the stage and there was a big long table of food. We thought it was for the crew but no, it was just for us. They were insulted if we didn’t clear the table. Christy: Your man came out to us and said “Is there something wrong with it?”. So we had to eat the whole thing. Stephen: We had free wine for the whole night and homemade food. It was brilliant. We were staying in this posh B&B and went for a swim in our underpants. They were trying to eat their dinner and we’re walking around in our underpants. Christy: It was grand. They got rid of the bugs and they were drinking there cans at 11 o’clock in the morning. Classy! OD: The new album features guest appearances by artists such as Ray Wylie Hubbard. Can you tell me about this experience and how it compared to your previous album? Christy: The previous album was more or less a live album. We didn’t really know what we were doing too well. We kind of were feeling our way, I suppose. We knew that we needed to get better production value. It worked out good for us in the end. OD: Where did you get the idea for your album covers? Stephen: The first album, Christy painted twenty years ago. There were about twenty A3 paintings and we scanned them all in. Our friend put them together in a collage which made the packaging. And in the new one, Gev’s sister Niamh Curry, did all the artwork. So basically, she got the pre-production demos and that’s what inspired the art that came out. OD: Do you have a favourite album cover by another artist? Stephen: I like the Primal Scream one with the splash of colour, Screamadelica, that was cool. Christy: I like Neil Young‘s On The Beach cover. OD: What has been your most memorable moment to date? Stephen: For me, it was our first gig in Texas, the radio show. Just because we were there and it was all happening for real. Gev: Glastonbury, that was pretty big. We played in 2011 and were on the BBC Introducing stage. We had probably only played about six gigs before it and we had a big PA. We had played in pubs so it was really alien to us. We won the competition but we were still what you call a pub band. We had just released an EP, so it was a big jump forward. OD: Are you excited to play Ruby Sessions, in Voodoo Lounge? Stephen: I’ve heard good things about it. I haven’t been myself but I heard it is a really good buzz. 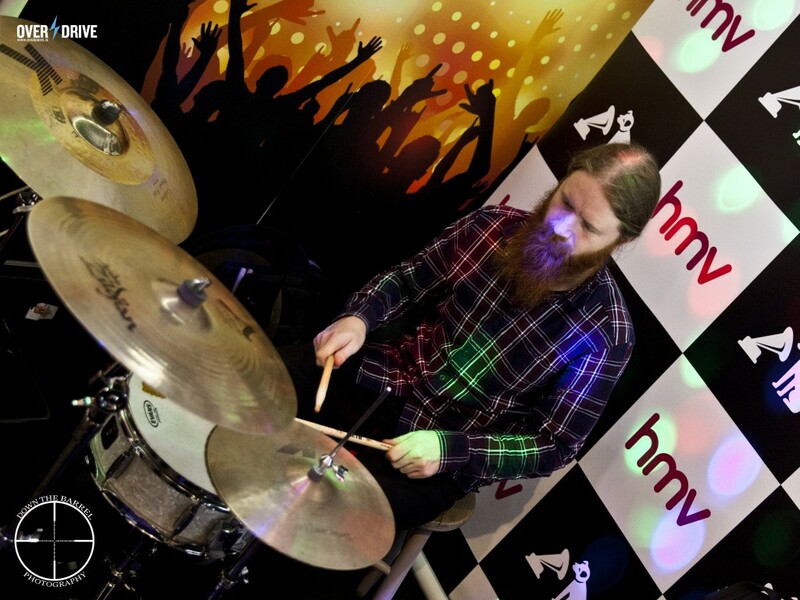 We’re not used to doing a stripped down thing but we did a few in-stores recently. And all the proceeds go to the Simon Community. OD: Is there anything you want to add before we wrap up? Stephen: Go out and buy the CD before we lose our good looks. Come and check us out in Whelan’s, that’s the big one. The guys are genuinely down to earth and are extremely passionate about what they do. I could listen their delightful Cork lilt all day. 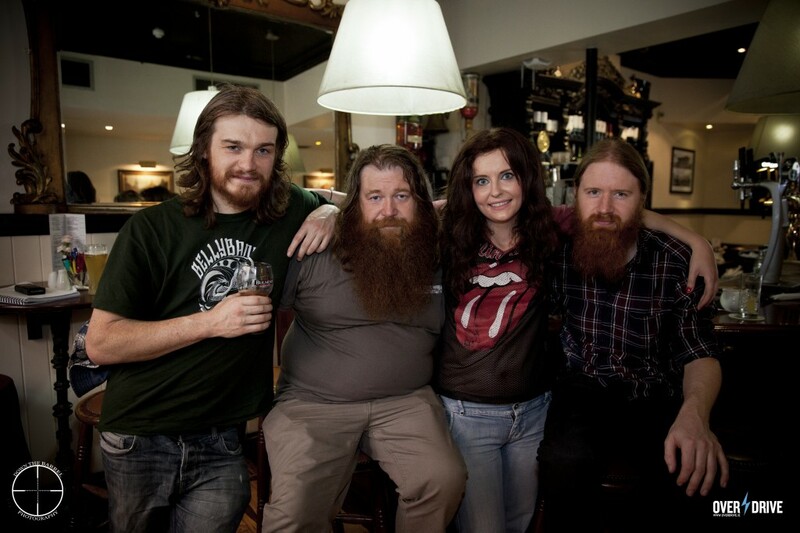 Their next Dublin gig is in Whelan’s on 27th June and is a show we will not be missing. 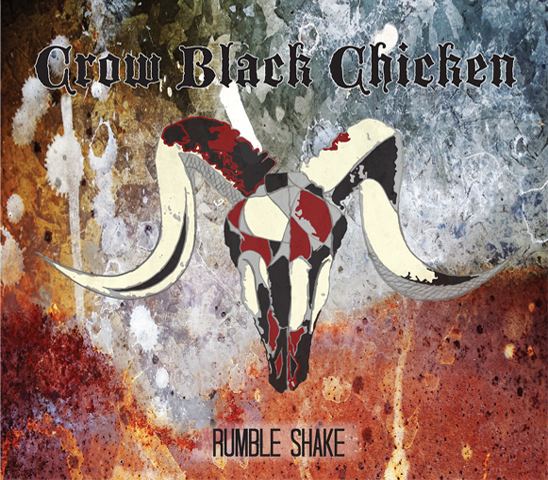 Crow Black Chicken’s new album “Rumble Shake” is out now in HMV!! Order your copy here.